"I can't recommend this work highly enough for children's libraries, preschool, home school, or anyone who is lucky enough to have a very young reader in their life to share with. " 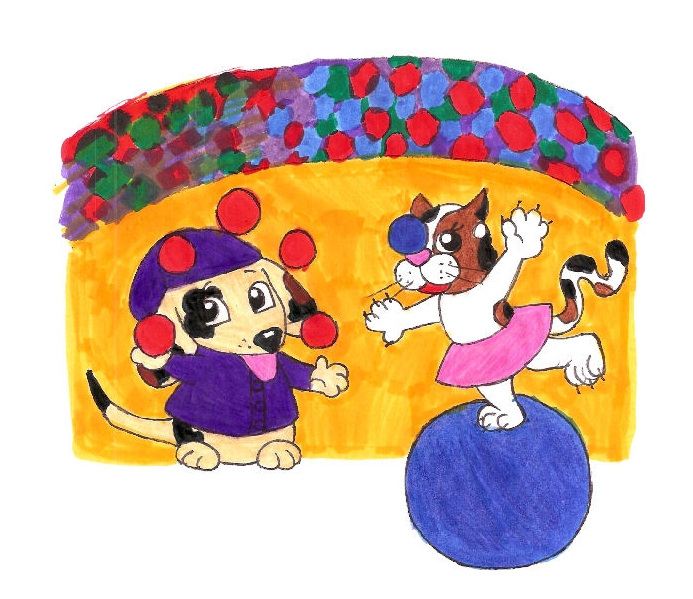 Patchy and Calico get to perform in a circus! 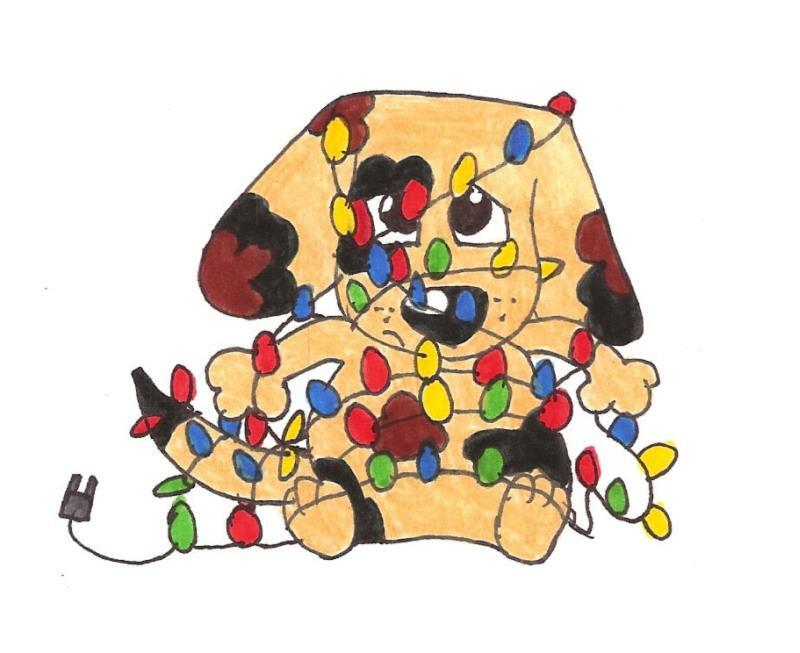 Patchy becomes the world's first "Snowdog"
Patchy and Calico help to decorate their house for Christmas. 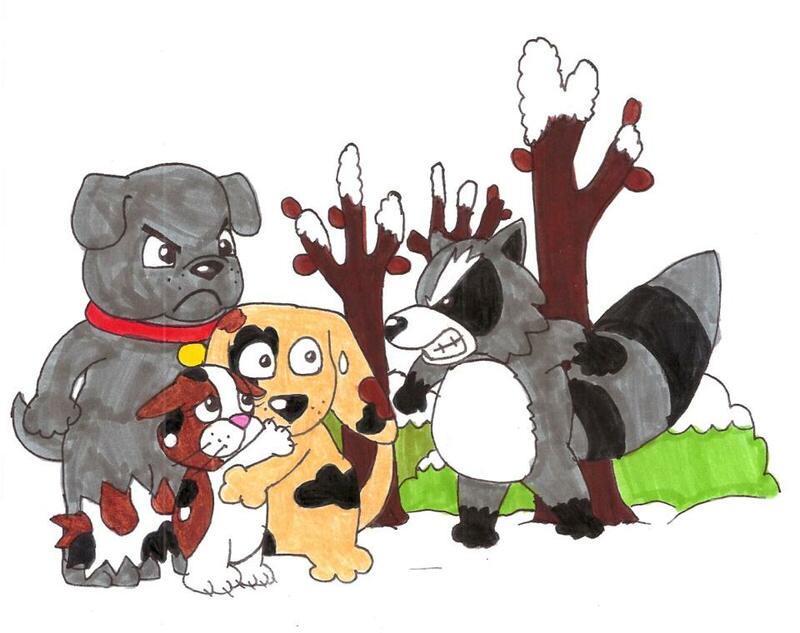 The two friends receive a little help from their friend, Marty when confronting the "Gift Snatcher" - Rocky Raccoon. They also discover that giving, sharing and caring are just as rewarding as receiving gifts. 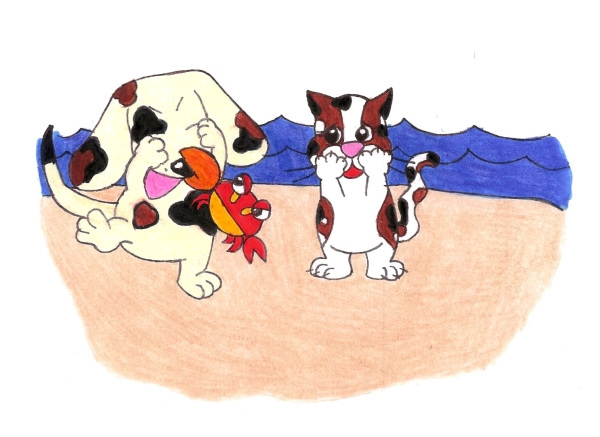 Christmas is a special time for kids of all ages and in “Christmas with Patchy and Calico”, the lovable dog and cat discover the true spirit of the holiday season. Through their many adventures, the two friends learn that giving and sharing are just as much fun as receiving presents. In one story, making a snowman should be a fairly simple job, but not for these two. Patchy decides to show off and accidentally becomes the world’s first walking snowdog. Then when all the Christmas presents mysteriously disappear, Patchy and Calico become detectives. They track down the gift snatcher and come face to face with the bully who stole all the gifts from underneath their Christmas tree. In other adventures, the two friends find a wealth of chestnuts and are given lots of treats. 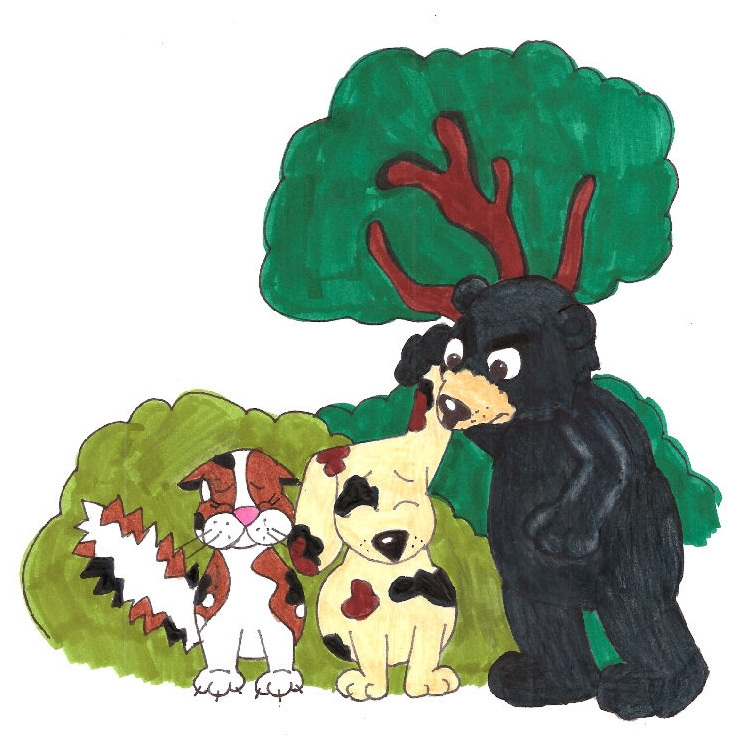 What Patchy and Calico do with all the chestnuts and treats will teach children how simple gifts can make both the giver and receiver very happy. 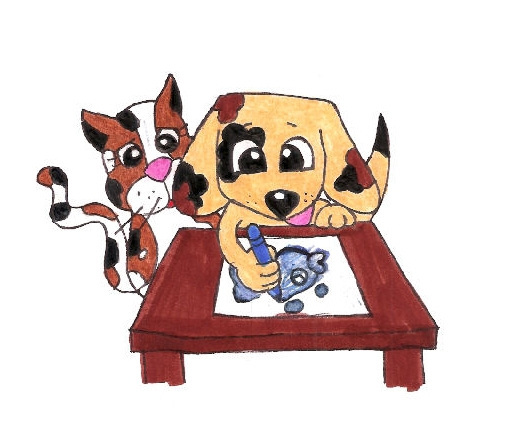 Preschoolers up to elementary-aged children (and adults too) love the adventures and misadventures of the two title characters. The humorous stories, illustrations, and simple questions at the end of each story will entertain kids while teaching them valuable lessons on sharing, caring and giving while spreading Christmas cheer.